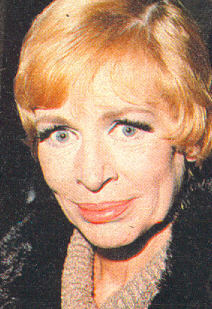 Remembering that classic British actress the late, great Yootha Joyce. 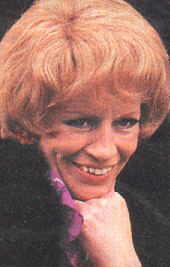 Yootha was best known for her portrayal of Mildred Roper in the classic 70s sitcoms, Man About The House and George and Mildred. In her 53 years, she appeared in many films alongside some of the most famous British and Hollywood stars as well as appearing in countless popular programmes of the day during the 60s and 70s. So if you're a huge fan and want to discuss Yootha and her career with other fans, click on any of the links below. She's been sadly forgotten by too many people already. Let's help keep her name and memory alive for future generations so they can appreciate and enjoy her talent as well. I personally discovered Yootha in 1979 and used to sneak into my parents room to watch George and Mildred. I was 10 years old when she died and am not ashamed to admit I cried when it was announced and again upon seeing the front page headlines the following day which were the first cuttings I ever kept and still have. It is a shame her versatility as an actress was never recognised during her lifetime. Thankfully due to countless hours of film and television appearances we can all still appreciate this wonderful lady. 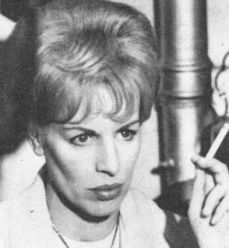 Yootha Joyce was born Yootha Joyce Needham in Wandsworth, South London, on the 20th August 1927 to bass baritone, Hurst Needham and concert pianist and singer Jessica Revitt. Her entry into the world was almost on Wandsworth Common as her mother was walking, but instead was at the Bolingbroke Nursing Home. She made her film debut in the 1962 Joan Littlewood Workshop production, Sparrows Can't Sing, alongside fellow Workshop actors, Brian Murphy and Roy Kinnear. Her then husband, Glynn Edwards (who she was married to from 1956-68), also appeared briefly in it. co-starring in Me Mammy which helped make her name. Her films included A Man For All Seasons, The Pumpkin Eater, Charlie Bubbles, Fanatic, Kaleidoscope and Our Mother's House. But in 1973 she was cast in a role which would change her life forever. 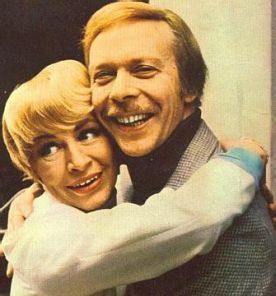 That role was one Mildred Roper (alongside her former Workshop collegue, Brian Murphy). The series was Man About The House. This ran for 6 successful series, 39 episodes with a 1974 spin-off film until 1976 when the Ropers were given their own series, George and Mildred. 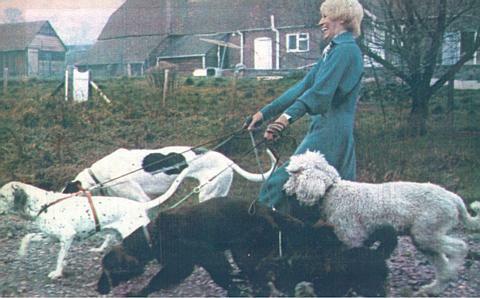 From its debut in 1976 to the 38th episode at Christmas 1979 it was rarely out of the top 5 programmes. A spin-off film was released in late 1980. Sadly though, Yootha was taken seriously ill while preparations were underway for what Brian has since said would be the final series and spent 18 days in hospital before she died on the 24th August 1980 of alcoholism. To contact me about the site or Yootha, please use the form below.